With 2.4 billion smartphone users by the end of 2017, how is your agency providing assurance to customers? Insurance buyers turn to independent agents for assurance that the bases are covered and their risks are mitigated by a professional. Their expectations for engagement with their agent during this process has changed rapidly and will not stop evolving. Focusing on an Omni-channel experience with your client will satisfy their need for fast interaction, but still provide personalized touches only an independent agent can provide. For speed, tap into mobile connections. For intelligence, set up systems to gather customer knowledge. For impact, build a better customer experience. To become more flexible, embrace digital transformation. Meeting these changing customer expectations is hard and not every agency will pursue it equally. 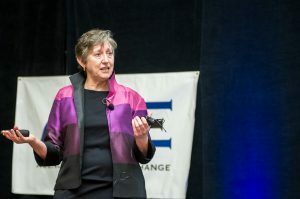 Watch Ellen Carney, Principal Analyst at Forrester Research, Inc. teach us about data driven marketing, customer buying habits, and the future of the independent insurance agency.